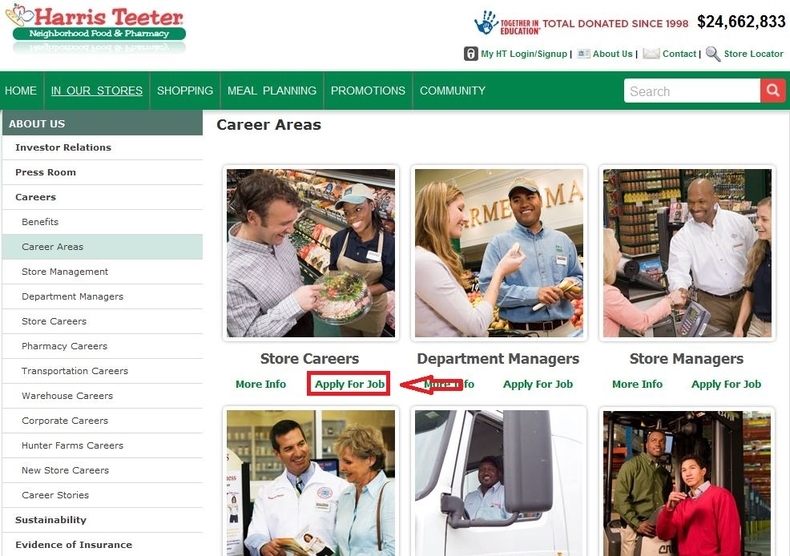 Visit Harris Teeter official career page at harristeeter.com/careers and click the button "FIND YOUR HT CAREER" to start your job searching at Harris Teeter. Browse the career areas listed on the page and select the one you prefer to work for. 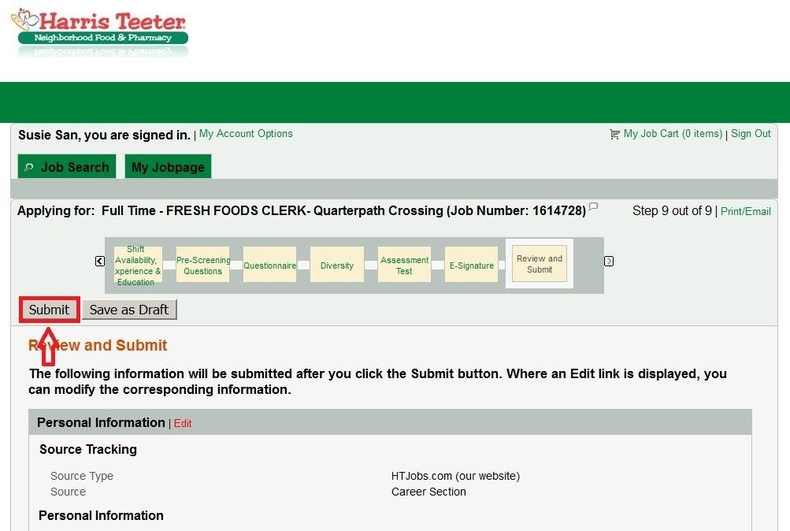 Then click "Apply For Job" to start to find an opportunity in the career area. 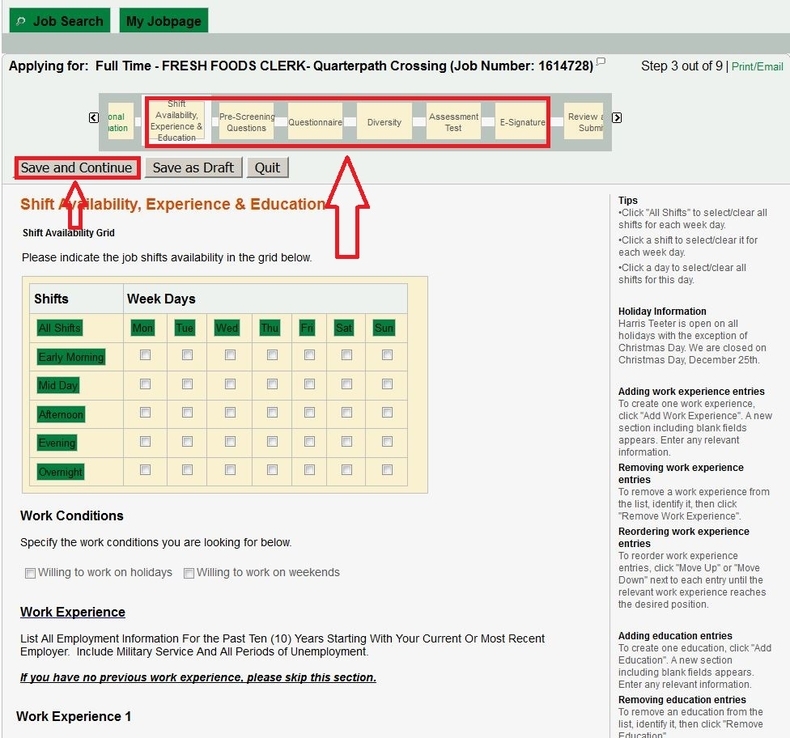 Use search criteria like job number, keywords, store and location to search an ideal position for you. 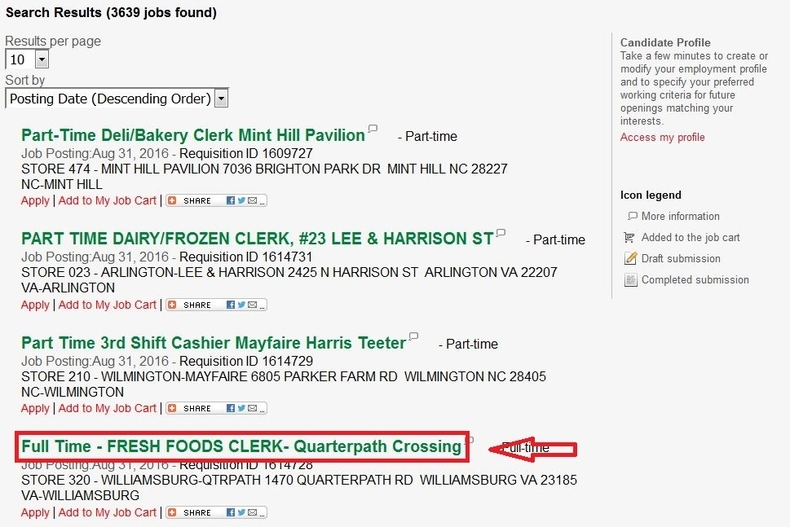 Or you can browse the job openings list to find the one you are interested in. You can click the job title to move on. View the details of the position like job description and qualifications and think about whether you can match the qualifications in skills, education and certificates. 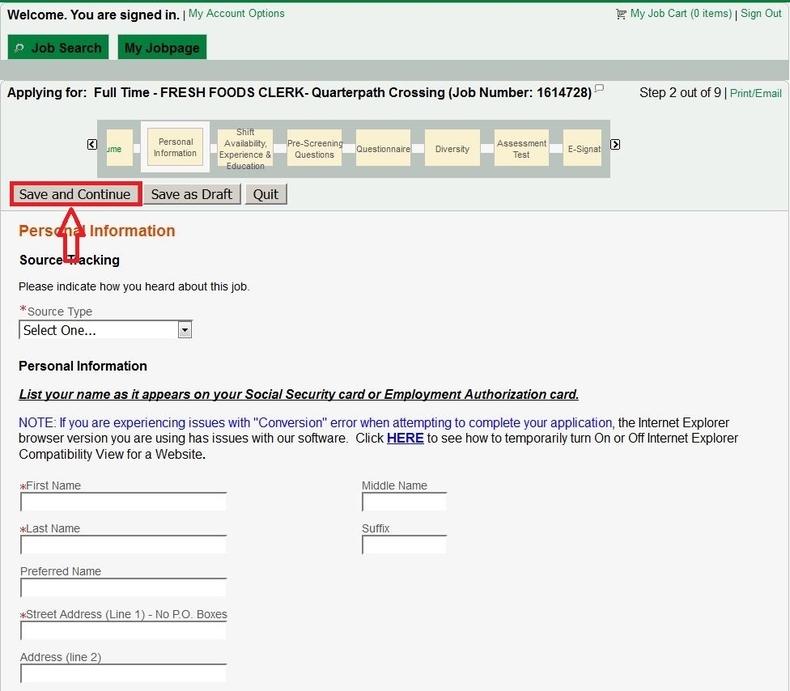 Once you decide to apply for a position, just click "Apply Online" both above or at the bottom of the job details. Enter your user name and password to login. If you are a new user, just click the button to create an account for you. 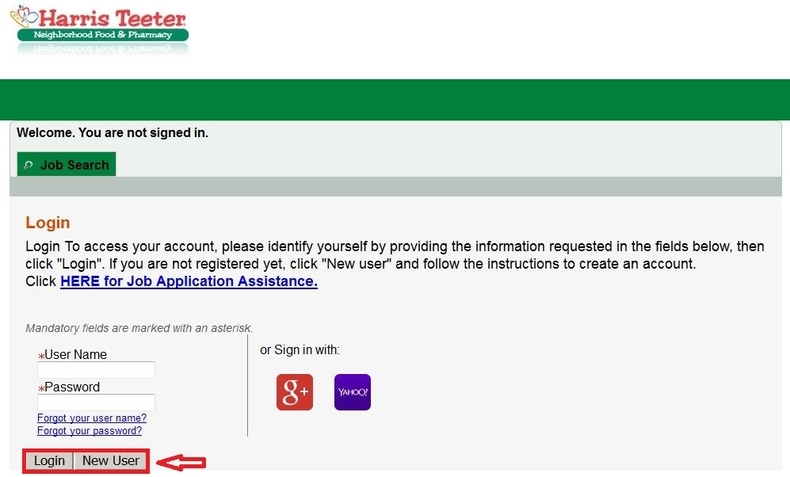 Or you can choose to sign in with your google or yahoo account. Select your resume file to upload. 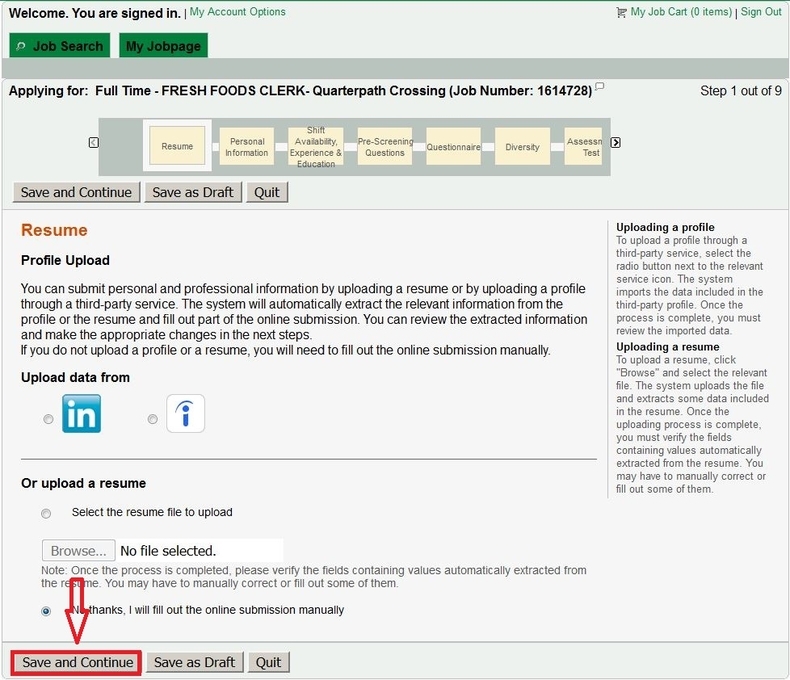 If you don't want to upload your resume, you can choose to fill out your online submission manually. Fill out your personal information and then click the button to save and continue. Please notice that all the fields marked with asterisk are required to fill out. Follow instructions to finish the rest of the 9 steps regarding your shift availability, experience and education, diversity and the given questions, questionnaire and assessment test etc. You need to finish all the required fields in each step and then click the button "Save and Continue" to move on to the next step. The final step is to review your application. You can click the Edit link displayed on each part to modify the corresponding information. If you are sure that all the information you provided is correct, just click the button to submit your application. After clicking "Submit", you will be entered into a page where you can see the Thank You and Process completed notification. This mean your online application is finished. 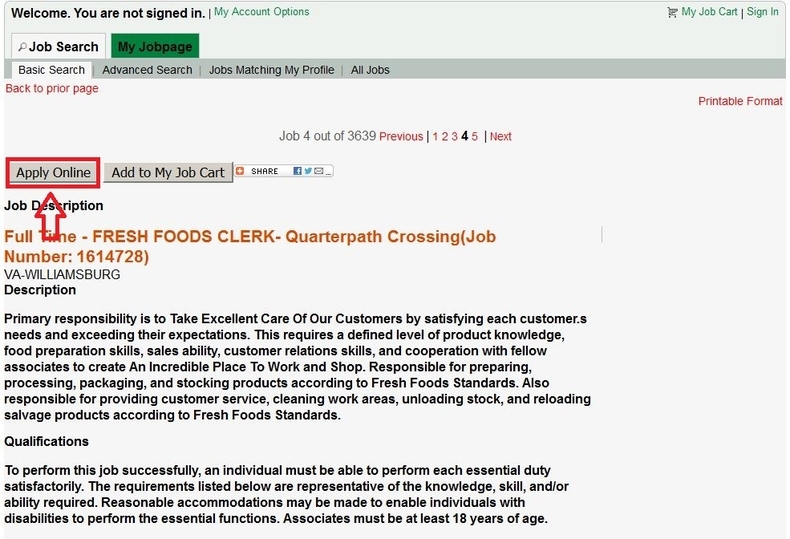 You can click the link below to view your submissions or other open jobs. 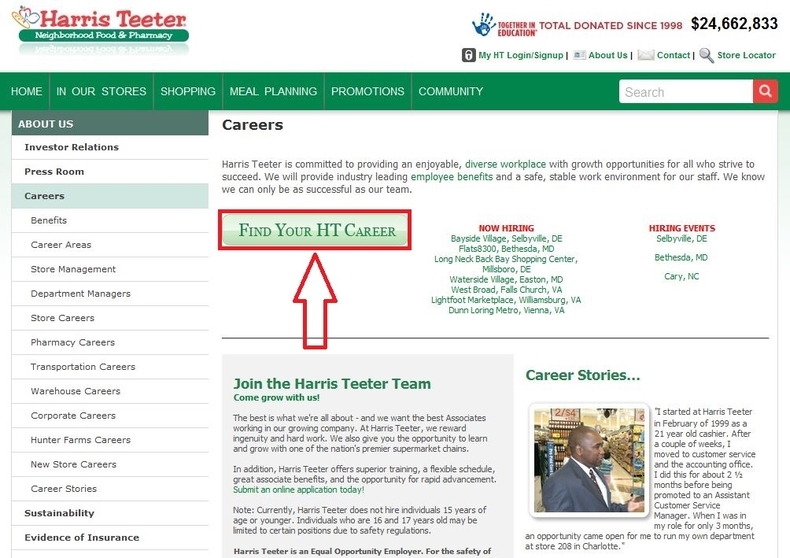 Click harristeeter.com/careers to apply for Harris Teeter jobs online.